Start planning your day with our Programs-At-A-Glance schedule. Full descriptions with speaker information are available here. Nassau and Suffolk County library associations are invited to apply to have a booth at the Long Island Library Conference. More information about staffing a booth is available here. If you are interested in requesting a booth for your association, please complete the online form. Get your 2019 off to a great start by registering for the Long Island Library Conference at our early-bird rate! 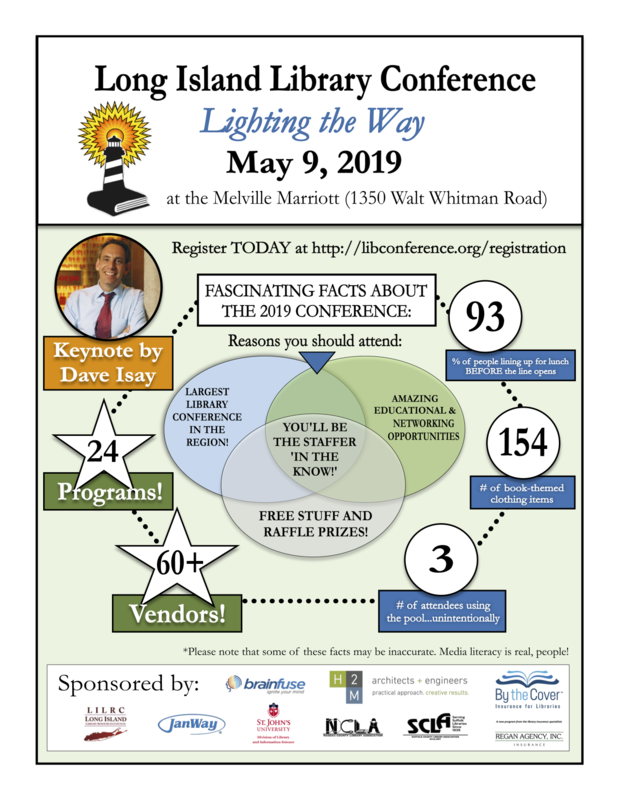 This year, the library community will be going “Lighting the Way,” after experiencing a day packed with informative programs, opportunities to meet vendors, and an inspirational talk by our keynote speaker, Dave Isay. 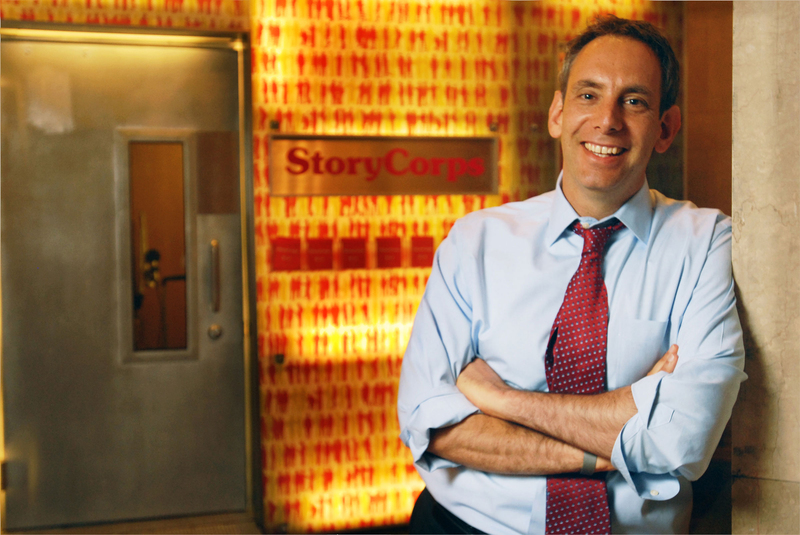 We are thrilled to announce that the founder and President of StoryCorps, Dave Isay will be our keynote speaker! Visit our keynote page to learn more about Dave. Exhibitor/Sponsor Registration Is Now Open! The last three conferences have sold out; act now to secure your place at Long Island’s largest conference for the library community! If you register by January 18, 2019, you will save $50 off your booth space. For more information and to register, visit our Exhibitor Registration page. Want to make more of an impact or can’t send a representative? Take out an ad in our conference guide or become a sponsor. For more information about ads and/or sponsorship opportunities, visit our Ads/Sponsorships page or contact Stacey Mencher at LILCChair@gmail.com or 516-921-7161 x234. Be part of the 2019 conference, where New York’s library community will be Lighting the Way! Don’t delay: Program proposals for the 2019 Long Island Library Conference are open! At this time, we are asking the Library Associations and Divisions to submit their proposed program offerings. The guidelines and online sponsor form can be found on the website at https://libconference.org/programs/. The sponsor form must be completed by December 31, 2018. Feel free to email lilcprograms@gmail.com with any questions. Attendees who participated in the full day of conference programs earned four hours of continuing education credit. The conference does not give out certificates so please make sure to retain the confirmation of your registration and the conference brochure for your records. Many of our speakers have shared copies of their presentations, handouts, and related materials, which can be found on our Programs page.